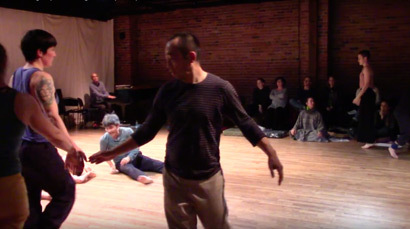 Excerpt from “Glimpse 3” project performance installation at Founders Theater, Seattle, December 2016, with Nancy Stark Smith (director/dancer) and dancers Katherine Cook, Brandin Steffensen, Ronja Ver, Jun Akiyama, Anne-Gaëlle Thiriot, Yeong Wen Lee, Blake Nellis, Rachael Lincoln, Anne Cooper, Anya Cloud and Karen Schaffman. 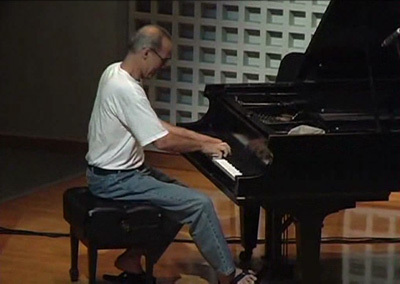 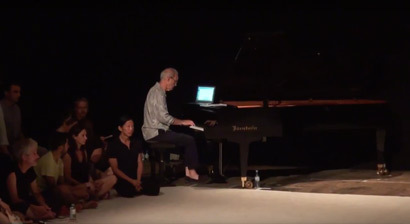 Piano solo at ImpulsTanz festival, Vienna, July 2016: “Stripes 7-10: Treading, Varying Speeds”, played at the beginning of a longer piece entitled “Surfers of the Glebe”, a dance and music collaboration with dancers Ray Chung, Andrew de Lotbiniere Harwood, Nita Little and Nancy Stark Smith presented at the ImpulsTanz festival. 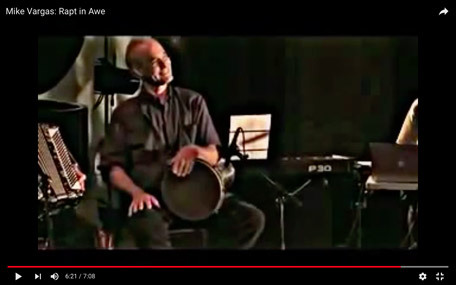 July 31st, 2013: "Rapt in Awe", based on the idea of combining the music of Morton Feldman with Afro-Cuban batá style drumming. 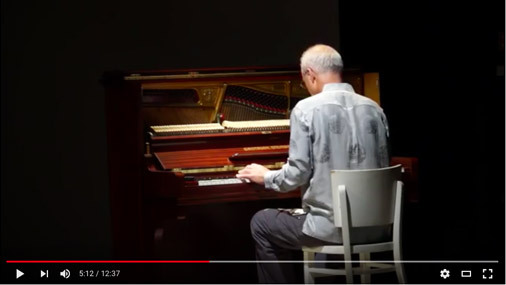 played by (left to right) Peter Jones, Terrence Karn, Mike Vargas, Carl Landa, Shamou, Jesse Manno, Rob Flax and Albert Mathias, at the Bates Dance Festival Musicians Concert. 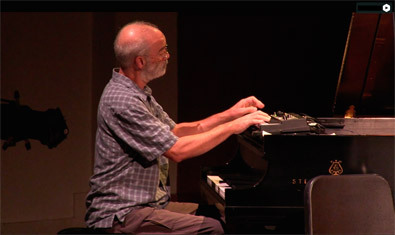 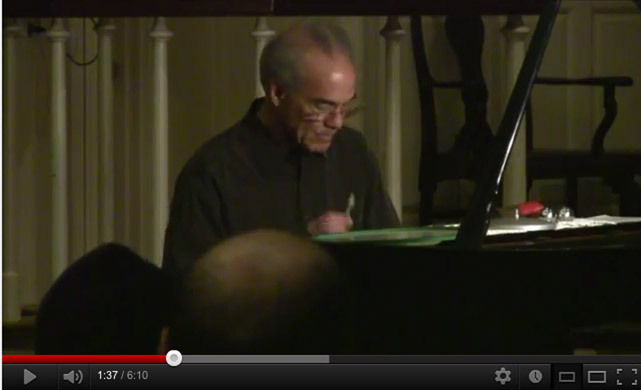 "Curiosity is Gravity" (solo concert) April 12, 2012 at Helen Hills Hills Chapel at Smith College, Northampton, MA, as part of Gregory Brown's concert series, "Sound and Space"
Click here for a playlist of the entire concert. 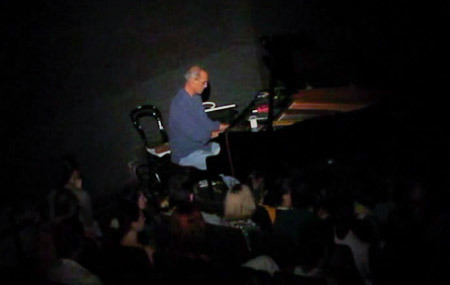 Performance with Nancy Stark Smith and Charlie Morrissey in Moscow, 2010.